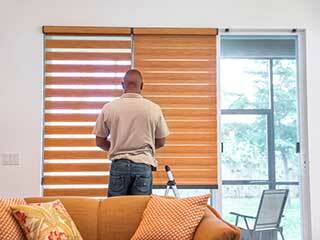 Our custom made blinds and shades are perfect for anyone living in Agoura Hills or the nearby areas. You'll never go wrong reaching out to one of California's leading window treatment dealers. That's us, if that wasn't clear. Whether you’re looking for roller shades for an office or for faux wood blinds for your home, just get in touch with us to schedule a free consultation that will help you find the perfect solution for your needs. Controlling natural light is essential for creating a comfortable room ambiance. Too much light can cause unwanted glare, headaches, and discomfort, while too little can make a building feel gloomy and dim. If it's a commercial business that suffers from the latter, you may find employee work productivity plummet over time as a result. Getting the balance right requires a professional approach, and it's important that your new window blinds and shades are made to measure, so you can be certain they’ll be a perfect fit. Needless to say, you want any blinds or shades you buy to last for more than a year, not to mention a week. That's why it's important to get products that are made from the best materials available today. How can you tell a product is actually reliable and will last? Well, the warranty is a good place to start. That's why Agoura Hills Blinds & Shades offers a 5-year warranty on all our products. You can rest assured that any motorized blinds or layered shades our team installs for you is going to serve you loyally for a long time. Choosing the right shades for your windows isn't always straightforward. 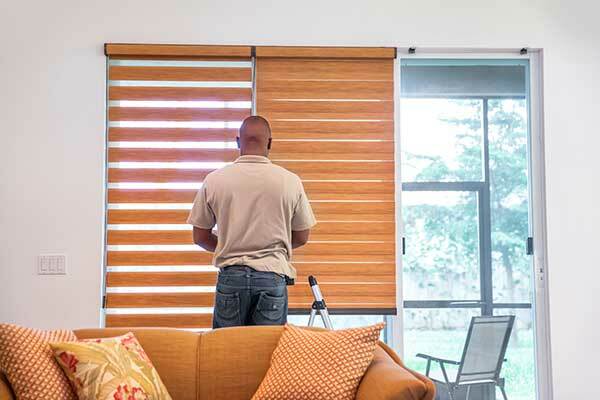 There are a lot of options to choose from, and it can be hard to visualize exactly how something will look, especially when it comes to something like wood blinds or motorized drapery, for example. To help make things easier, it's beneficial to get consultation from an expert who can make sure that you take every aspect into consideration and to provide input, ensuring you end up with the ideal product. With the guidance of Agoura Hills Blinds & Shades you’ll be sure to get the right coverings for your windows, and thanks to our 5-year warranty you’ll have peace of mind for a long time to come. For the best window treatment solutions around, get in touch with us today. When In Doubt – Go The Local Experts Route!